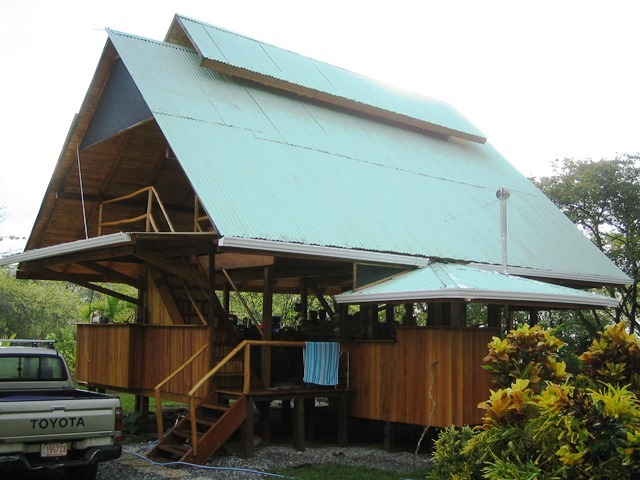 Looking for a turnkey off-grid beachfront home in Paradise? 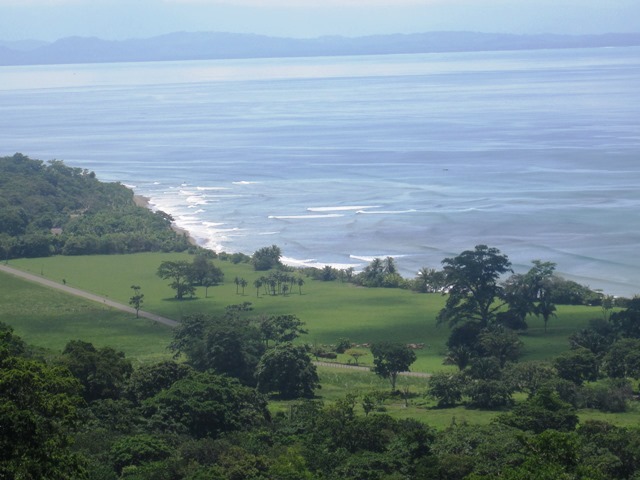 This gorgeous 2.7 acre beachfront property extends from the Puerto Jimenez Carate highway to the beach and includes both titled and maritime zone land. The house is built to take advantage of the breezes that come in off the coastal point on this property, so you can stay fresh and cool. 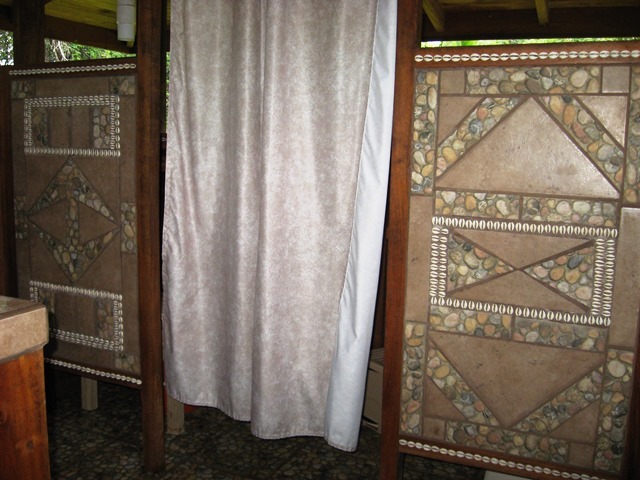 The house itself is built of tropical hardwoods in an open-air style and is two story with downstairs living space and kitchen area and an upstairs loft sleeping area. The property has been a single-owner property for the past twelve years and the grounds have been landscaped and maintained immaculately. Look forward to a beautiful lawn, tropical ornamentals, trees, and a view of the beautiful Golfo Dulce, the tenth deepest gulf in the world, and the central American cordillera beyond including a view of Panama’s Baru volcano on clear days. With home-owning neighbors along the coast, the Sombrero-Carbonera-Matapalo region comprises a de facto expat community with a number of home nations represented and a mixing pot of individuals with a wide array of skill-sets and experiences making for a vibrant community. Did I mention surf? 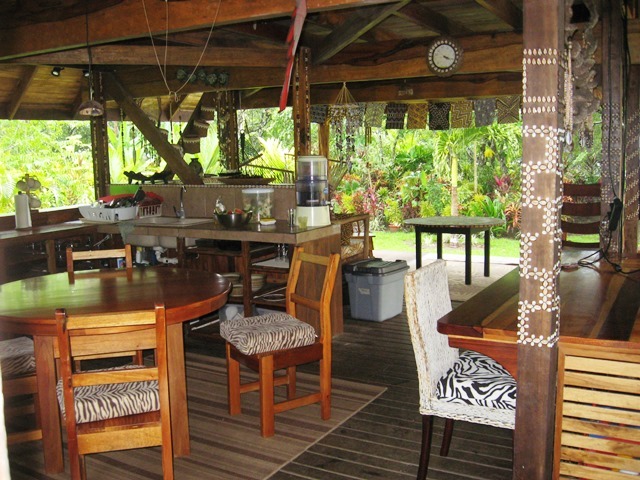 The property is located in Sombrero, just a few klicks north of Matapalo which itself boasts three world class surf breaks. 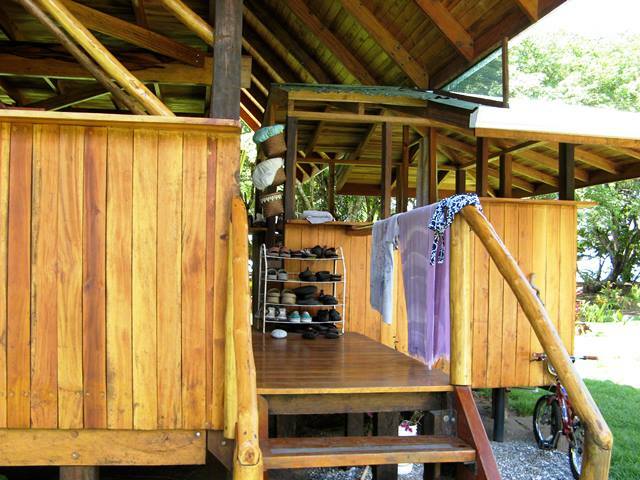 But you don’t have to leave the house as a point break is located right off this property, so just take a look out in the morning and gage the swell to decide whether you’d rather hang five or head up into the rain forest for wildlife viewing. The Osa Peninsula is the mother lode of nature with 2.5% of the planet’s biodiversity contained within its 700 square mile expanse (that’s about two thirds the size of Rhode Island), and ecotourism is king. Perhaps most noted for the crown jewel of Costa Rica’s National Park System, the World Heritage Site Corcovado National Park, the Osa also has extensive acreage under protection as National Reserve, a Guaymi Indian reservation and boasts activities ranging from canopy zip lines to swimming with whale sharks. 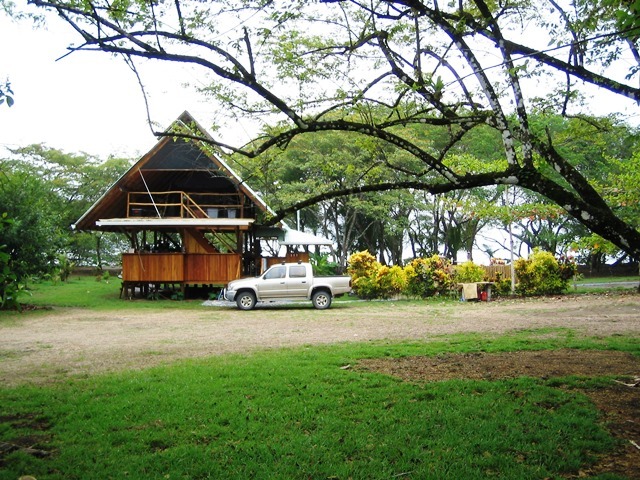 Five kilometers from the coast of this home is the world’s hottest sailfish fishery, and with 10 commercial flights daily connecting nearby Puerto Jimenez with the capital, it is a puddle-jumper’s hop away from the international airport. With a world class marina due to enter construction in Puerto Jimenez in the next few years, now is the time to get in on stunning properties like this one before prices climb in response to increased demand. Don’t wait; must see to appreciate, and at an asking of only $375K, this is the lowest price turnkey beachfront property on the entire property.